With this music rich country, a treasure to safeguard and carry on down the generations, the All India Music Group has come together to nurture the Indian music form and ensure that its kept alive in tradition. 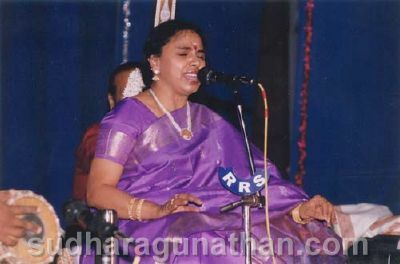 The AIMG had its first session at Mumbai on January 2007 (refer under Sudha Speaks in this web site – Towards a musical cause). Subsequent to a volley of photo sessions, the media dispersed at 4 pm to give way to the Corporates. In a discussion room, with the stalwarts on one side of the table and the Corporate representation on the other, began a discussion on how the Corporates could play a key role in taking this noble venture forward. The elite gathering comprised of Dr. Nalli Chettiar, Partner Nalli Silks, Mr..A.Natarajan, former Director, Door Darshan Kendra, Mr. Kumar Ramanathan, Operations Director, Vodafone Essar, Mr. M.Murali, Managing Director, Sri Krishna Sweets, Sri.L.Sabaretnam, Director, CPCL, Mr.Raghunath Narayanan, Europa Group, Mr. M.C. Ragunathan, Director,Amudham Music Ms.Indra Subramanyam, Managing Director, Ehrlich Laboratory and Mr.Sairam, Vice President, Kotak. An ambitious venture begun with all sincerity for a strong and deep rooted cause by world renown Indian musicians, stretching their hands out to the Corporate barons for support …..to ensure that the musical treasures of India are safeguarded and sustained for generations thereafter. Well done AIMG, and with Sudha as the Southern representative, will surely spell success in all its ambitious ventures for the cause.